Despite inspirational athleticism, dedicated passion and determination, the world of sports has plenty of funny and hilarious moments. Unless you’re the ridiculously photogenic marathon guy, it’s extremely hard to look your best when doing sports. Sports photography can now freeze moments to a nano-second, capturing our favorite athletes in less than favorable expressions. It’s all about timing, taking the shot at the right place and at the right time. 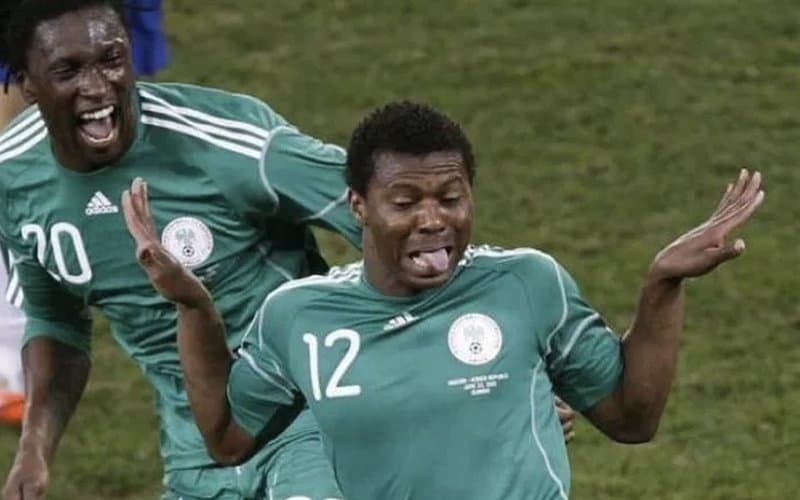 Here are 10 hilarious facial expression while doing sports. Enjoy. This rugby player looks tired, confused and exasperated — all captured in one facial expression. 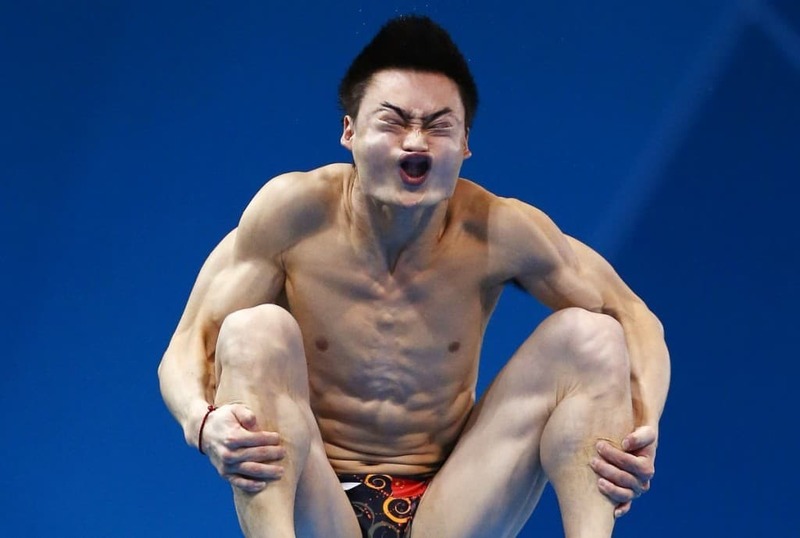 This is Qin Kai, a professional diver. 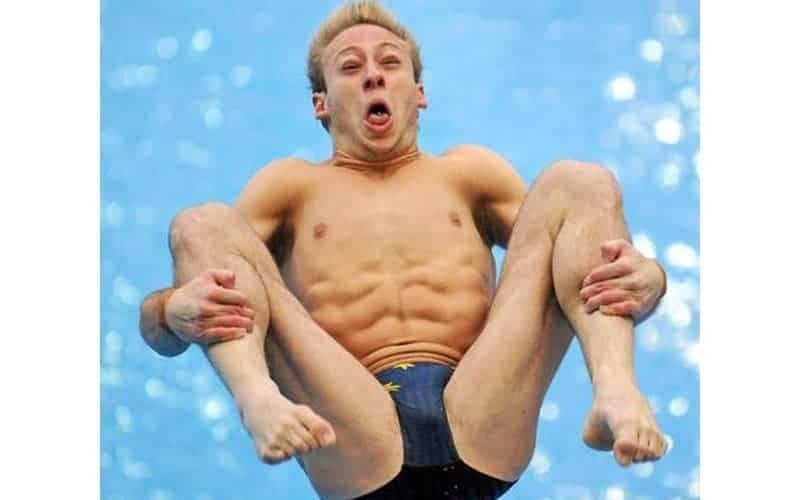 It looks like it takes a lot of concentration, weird poses and faces to complete the perfect dive. If he gets a good score, who are we to judge? 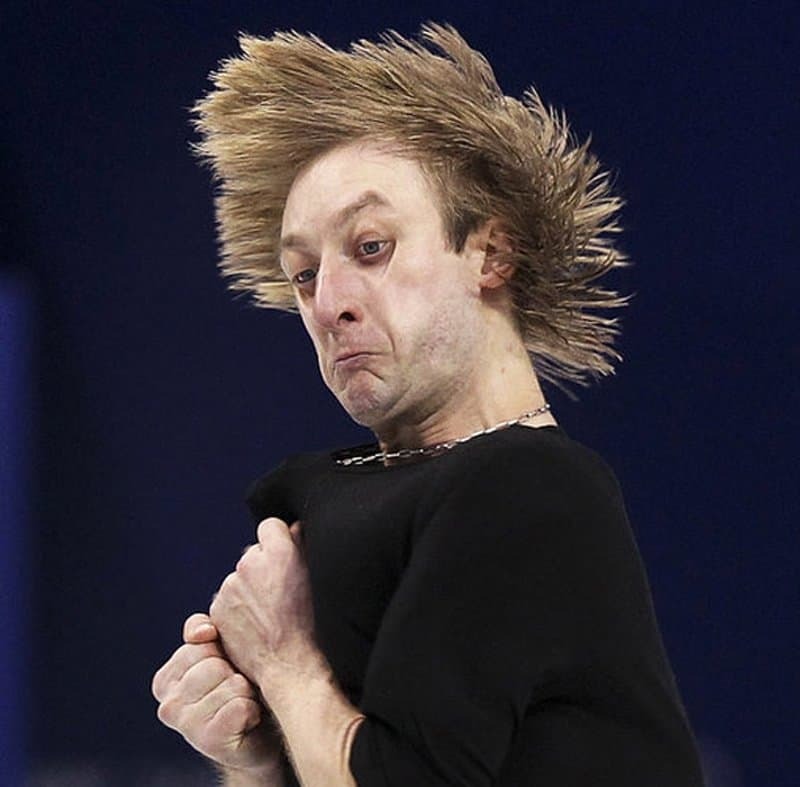 Evgeni Plushenko of Russia was practicing for the figure skating competition – men’s division at the 2010 Vancouver Olympics. 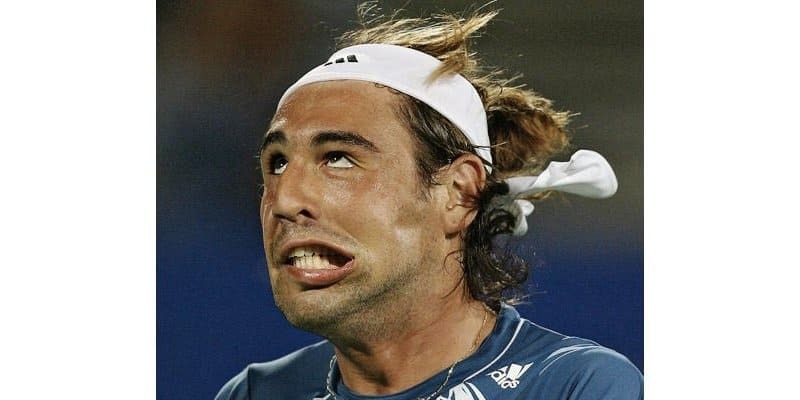 This is Marcos Baghdatis representing Cyprus, who pulled off a funny face after losing a point during the quarter final match at the Sydney International Tennis Tournament in 2007. 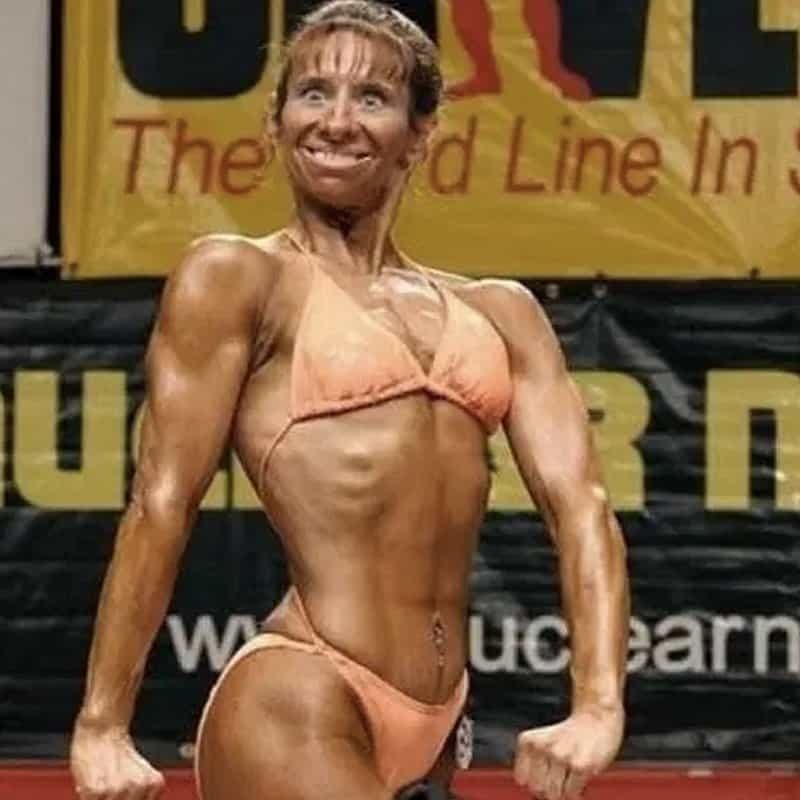 This looks too humorous not to share — maybe all of the exercising has gone to her head? 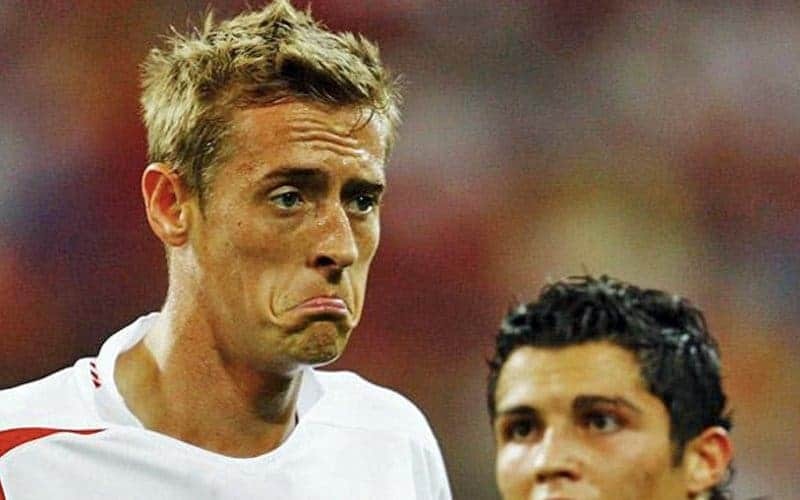 This is Peter Crouch from the England team making a strange face during the FIFA World Cup 2006. This is a face in motion captured at the right time. 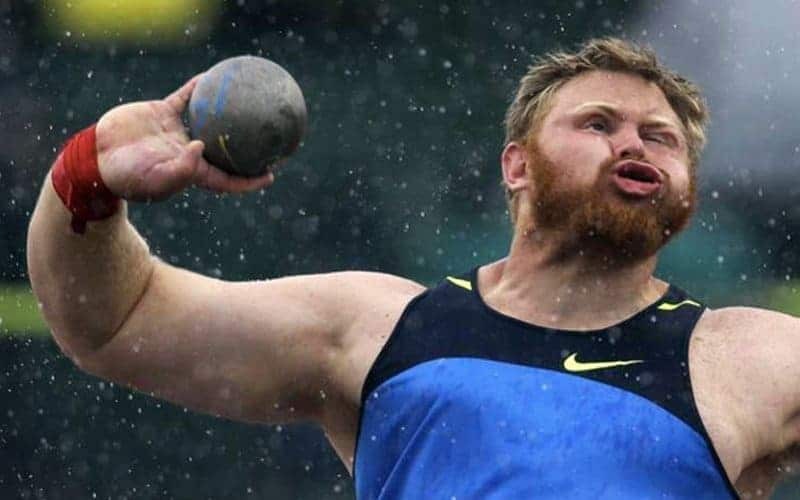 Kurt Roberts was competing for men’s shot put competition to qualify for the US Olympic team for 2012. Matthew Mitcham for Australia made a hilarious face during a practice session to compete in the 2008 Olympics in Beijing. He looks like he’s saying: ‘Hell no I ain’t touching that! 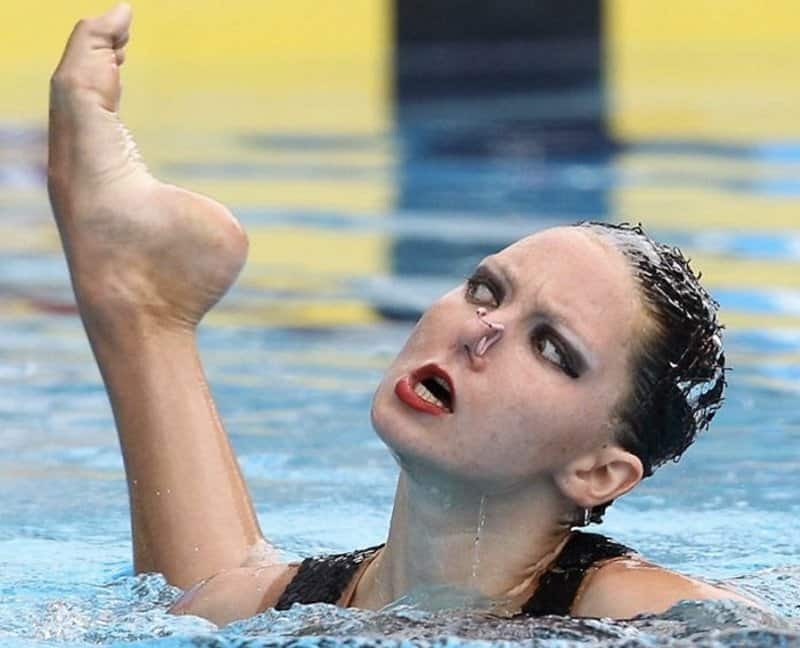 This swim gymnast looks confused whether her foot should be there or not.